Moscow, August 15, Interfax - Patriarch Kirill of Moscow and All Russia has congratulated Fidel Castro Ruz on his 90th birthday. “God gave you a long life. Over the past years you have gained valuable experience in public administration, become a great authority in your own country and beyond, having written your name in the chronicles of Cuban and world history,” the patriarch said in a congratulatory message, his press office said. The people of Russia and Cuba became friends thanks in large part to Castro’s personal contribution, the patriarch said. “The Russian Orthodox Church is grateful to you for paying attention to the Orthodox Cubans and implementing the project to build a cathedral of the Kazan icon of the Holy Virgin Mary in Havana. I keep good memories of our meetings, of our warm conversation during my visit to the Island of freedom in February this year,” the patriarch said. During his visit to Cuba in February 2016 the patriarch also held a historical meeting with Pope Francis and performed a liturgy at a Russian church in Havana, whose building site he consecrated in November 2004, then as metropolitan and head of the Synodal Department for External Church Relations. And in 2008 he performed a great consecration for the church. 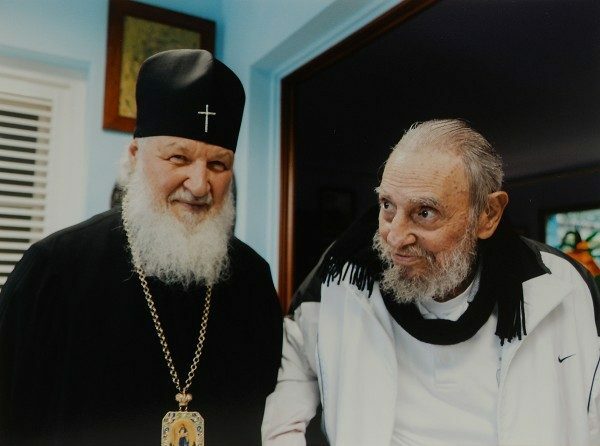 When sharing impressions from his February’s tour of Latin America, the patriarch told journalists that both Fidel Castro and his brother Raul were raised at a Jesuit college and the source of their proposed reforms was Christian. “Then it was completely amazing how he agreed to building of a church, how he suggested that I choose the location, and I chose the center of Havana, how he replied to my suggestion that it would be good to perform a liturgy and then have a religious procession to the groundbreaking site, that was in 2004, by saying: yes, go ahead, we have a Franciscan monastery, which is a museum actually, no one performs religious services there but you will,” Patriarch Kirill recalled. Thousands of people took part in the religious procession of a scale not seen in Havana since the revolution, and the Cubans then built that church with their own money.